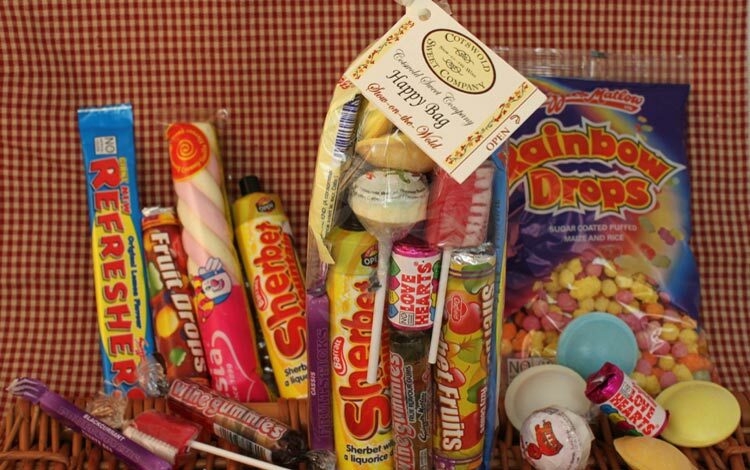 A fabulous selection of retro sweets, all your old favourites including. 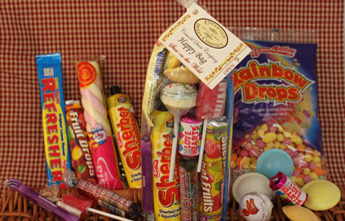 Vanilla mallo bar, Sherbet fountain, Wine gums, Fruit lolly, Frosties / boiled sweets, Love hearts, Double lolly, Fruit flavour sherbet straw, Popping candy, Rainbow drops, Refreshers bar. Thats enough to make any one happy!